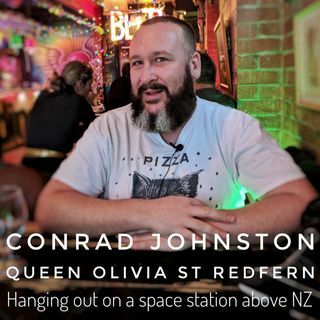 Conrad Johnston or Queen Olivia St Redfern, two amazing people in the same body and he has a lot to tell you. From the start-ups, the early partying, the change of life, and the social media explosion, he has lessons to learn and pass on at every moment. Ladies and gentleman, and especially Phil, we give you Conrad / Olivia!